Incorporating both a sash and dead lock the Cylinder Mortice Sashlock is suitable for use with a euro profile cylinder and is available in 2 sizes; 63mm & 75mm and 2 finishes; electro brass and nickel plated. 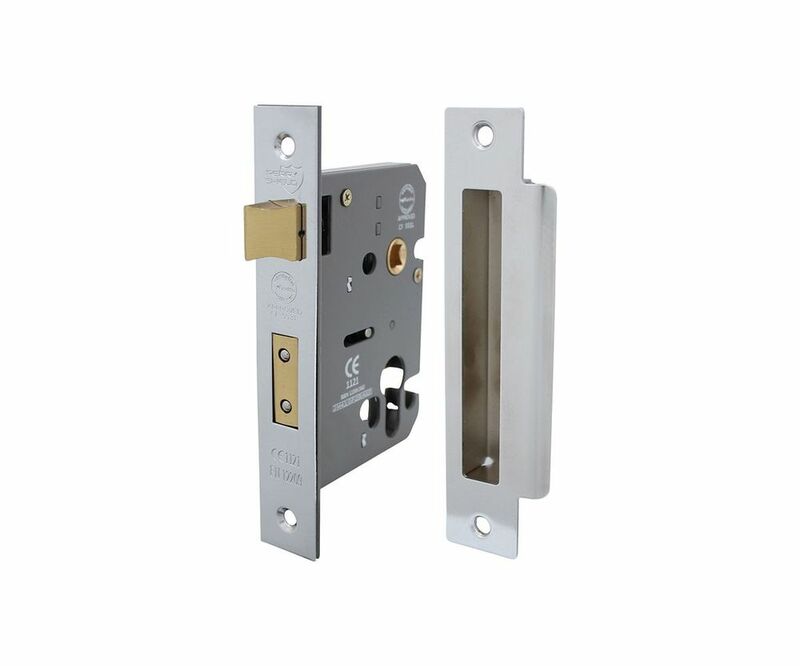 A lever handle (supplied separately) operates the latch and the deadbolt is engaged with a key. Tested and certified by Certifire and CE marked this product has been fire rated and approved for use with FD60 doors.